There’s new hope in the search for survivors of an avalanche that hit a resort in the Italian town of Farindola last Wednesday. 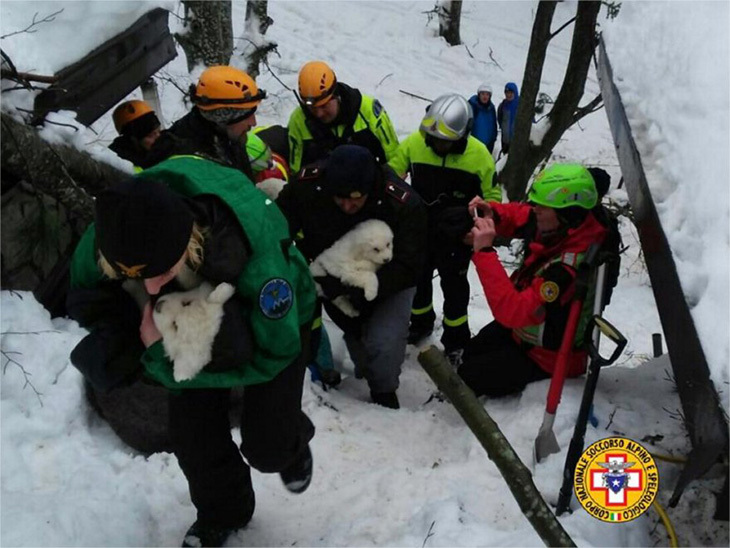 Rescue workers found three sheepdog puppies alive Monday — five days after the avalanche in which up to 16 feet of snow cascaded down the mountain. Emergency crews found the puppies in the Rigopiano Hotel’s boiler room after hearing faint barking.